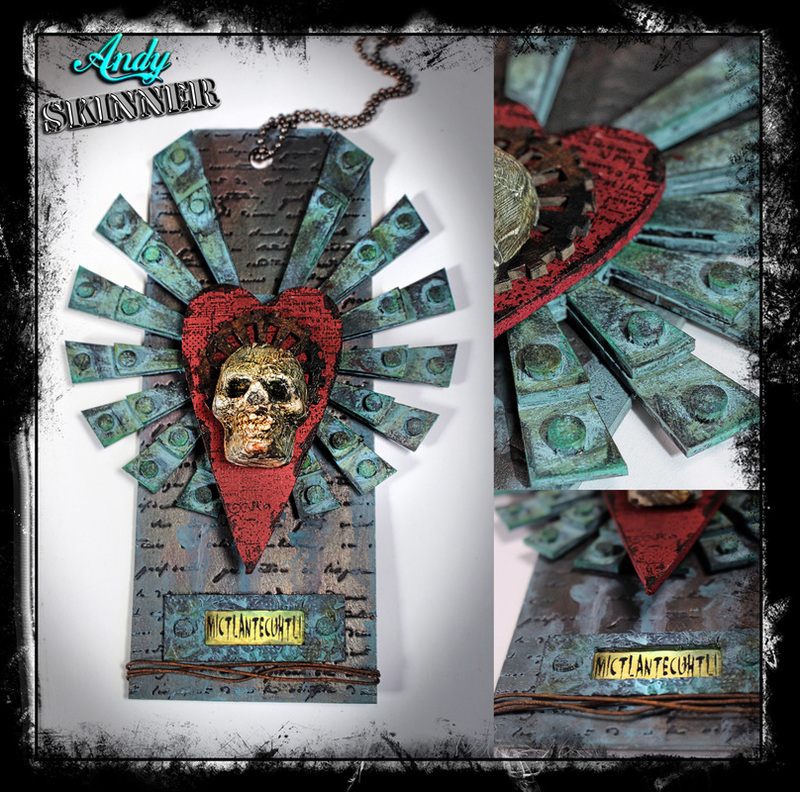 A laser cut chipboard kit from which you can create a tag like this - the kit includes tag, layered wings with 'rivets', heart, cog and bookplate. This clock is 29.4cm in diameter and consists of a round back plate, 12 segments which can be decorated individually and placed onto the back plate, an inner round plate, a clock mechanism and some very, very cool retro numbers. 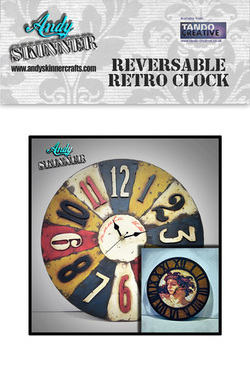 It also includes the larger clock ring which can be used on the reverse of the clock to give you two clocks in one! 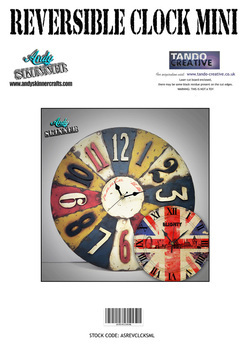 You can turn the clock to suit either your room or your mood! 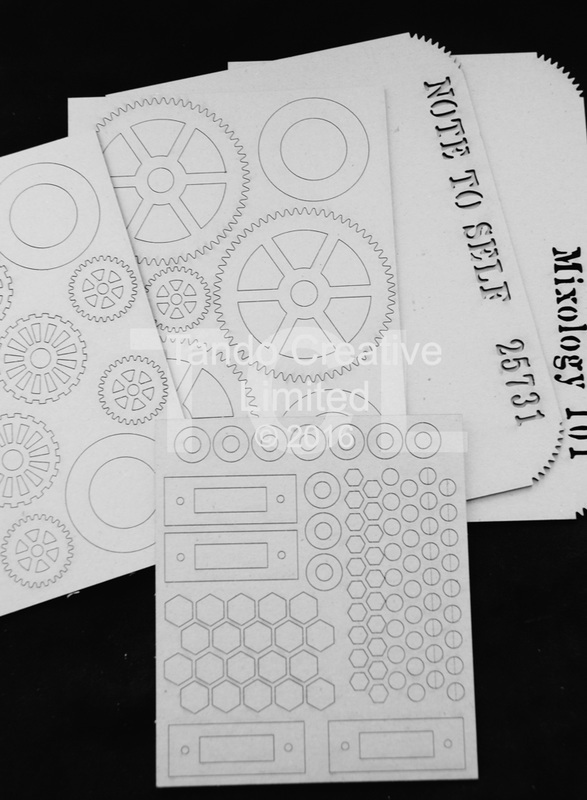 A laser cut chipboard book cover kit featuring 2x A5 book covers with cog edge detailing and cut out lettering and three sheets of mixed cogs, nuts, bolts, washers and bookplates. This kit includes everything that the larger version has apart from the clock ring and is 18cm in diameter. The back is ideal for decorating with cardstock, image transfers or paint to give you a reversible design. 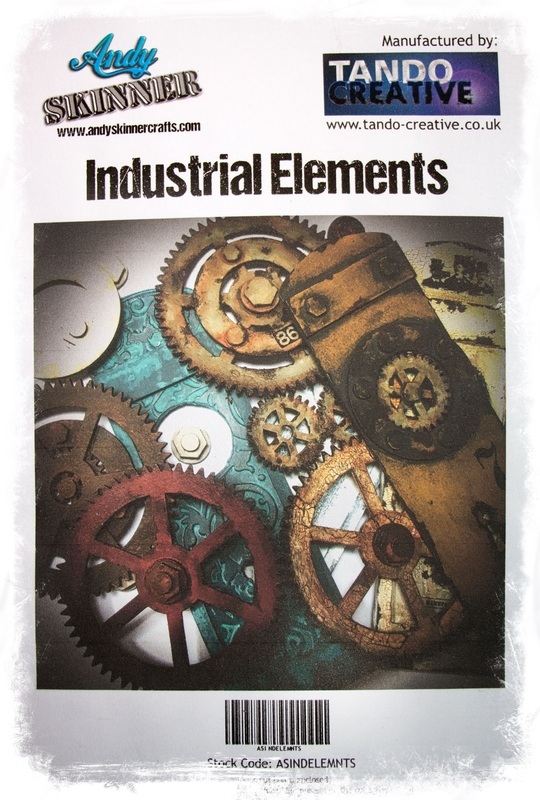 ​A laser cut greyboard kit of cool Industrial Elements perfect for mixed media and assemblage. The kit includes: 5 large cogs; 10 small cogs; 5 large washers; 10 small washers; 3 door plate sets; 4 bookplates; 20 large hexagon bolt heads; 20 small hexagon bolt heads; 20 screw heads with engraving; 20 screw heads without engraving.